I know you’re ready to PLOT, PLAN & GET PAID! And my 2017 planner is the tool to help you do it! Anyone who knows me knows that part of what keeps my creative juices flowing is note taking. I literally write down ALL of my plans before I bring them to life and organizers help me to keep things prioritized and on point. So, it only made sense to create a tool to help you do the same. 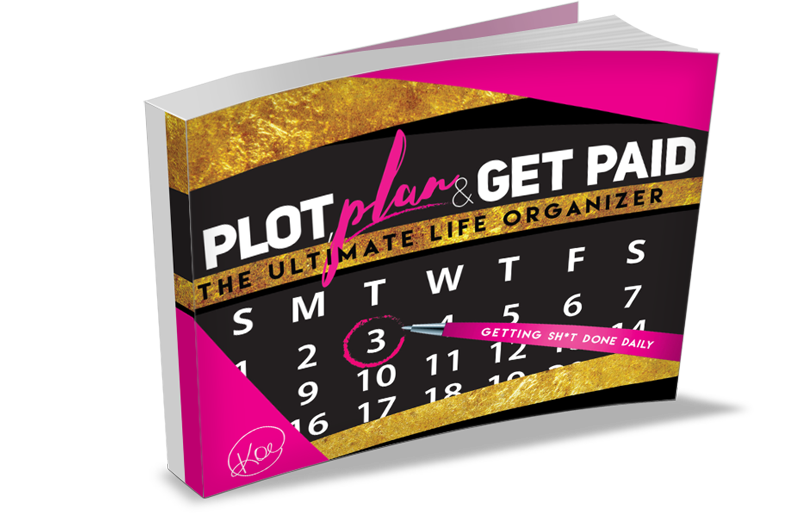 I’m proud to introduce you to the only 2017 planner you need: PLOT, PLAN & GET PAID Ultimate Life Organizer! I wasn’t playing when I said my goal for 2017 is to help you crush your goals for 2017! 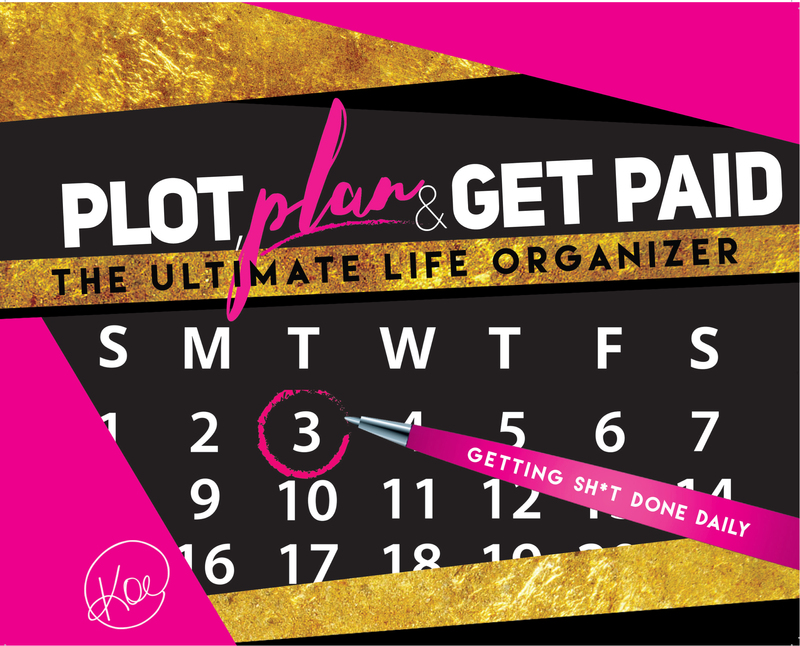 This is hands-down the ONLY organizer you’ll ever need to get-your-life-together! Inside you’ll find 10 sections to document your daily and monthly tasks. From behavioral goals to professional ones and everything in between. This 10×8 inch planner will help you prioritize your life, ensure you’re werking and playing hard and give you a chance to review your entire month to prepare for the next. You can even track your exercise, water, vitamin and vegetable intake. This planner is the ultimate accountability tool for 2017 and beyond. PLUS, there are no dates inside so you can fill in the first month whenever you get it. I can't wait for you to get your hands on this planner, because 2017 has your name on it!! !